Already listed with our Phuket snooker clubs directory? Shot the red, yellow, green, brown, blue, pink and black balls on the green table into pocket in each of the four corners and in the middle of each of the long side cushions. Phuket snooker also is popular among every society. 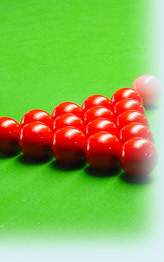 We have information base on snooker in Phuket, visit us now at Phuketindex.com. Visit Patong Park and enjoy Bungy Jump, Mini-Snooker, Bowling, Snooker, and Thai Boxing, for school and corporate events.